Offset professionals know that coating and varnishes can bring a printed piece to life – or ruin it. Don’t let orange peel and pinholing destroy your profit margins. Apex International has solutions that have been tested and approved by leading press manufactures worldwide. 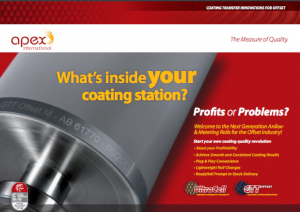 Industrial coating applications require a smooth & even transfer. Especially GTT’s transfer accuracy and the absence of air inside make this technology extremely interesting for the application of technical Coatings. Our technical experts can assist you to choose the right specifications. UltraCell cell geometries are wider and up to 30% shallower than C02 and conventional YAG laser-engraved anilox rolls, yet deliver the same ink volume and density. UltraCell is engraveable in all patterns: hexagonal, LongCell, Tri-Helical, Channellox, Positive, among many others. UltraCell’s super-dense low-porosity, non-wetting ceramic and UltraMelt laser-engraving process mean more efficient ink-to-plate transfer, faster clean-up, super corrosion- and score-resistance. UltraCell lasts longer, maintains more accurate volume- and can deliver better print results. Imagine using just one anilox roll for finer screens – and stronger solids. Imagine less mottling, pinholing, plugging and dot gain. Imagine faster drying time. Bottom line? Print more with less. 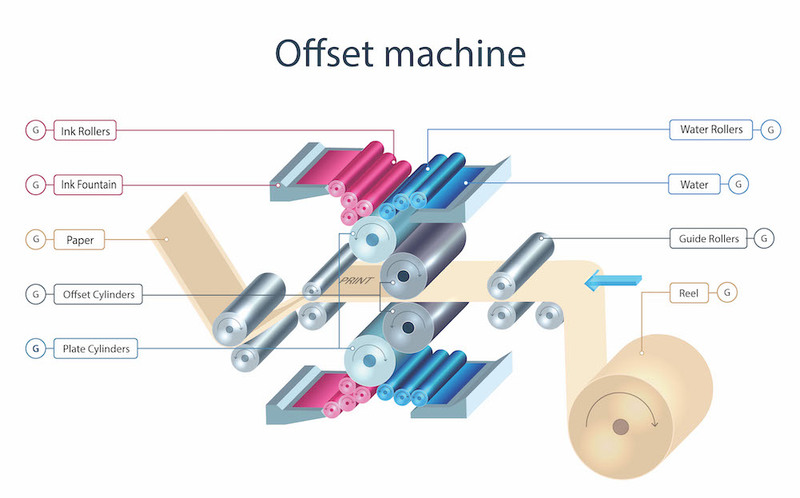 GTT is the best anilox product available in the market for achieving the needed consistent ink-to-plate transfer in HD Flexo Quality and Fixed Palette printing. "Apex International’s wealth of expertise in water-based and UV-curable coating transfer technology perfectly complements the digital folding carton workflow. By combining resources, competences and knowledge, we are well-placed to drive further process optimisation, and enable TRESU iCoat users to enjoy improvements in efficiency, quality and support." "I am very happy with the results using the C21 anilox and have achieved very good densities on the material we are using for our new project. It has also been used on other jobs which had been double hit with opaque white and are now just been hit once using the GTT C21 Anilox."